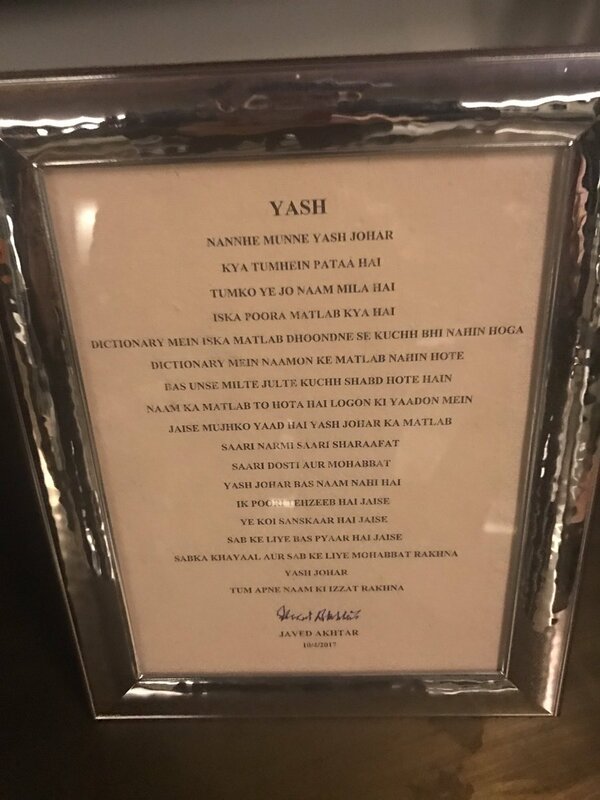 While several friends and family members of Karan Johar gifted his twins with plenty of goodies, poet and lyricist Javed Akhtar had a very special gift for Roohi and Yash. Javed penned down two beautiful poetries for Roohi and Yash. For now, the babies cannot understand the gesture but they will surely grow up some day to find these gifts. Ever since Karan brought home his babies, celebrities from the entire industry are seen visiting Karan and his babies. Almost every day Karan’s children have visitors, who shower the little ones with goodies and gifts. Roohi and Yash were born on February 7, 2017 two months pre-mature through a surrogate mother. Since the babies were born pre-mature, they were kept in the NICU till they recovered, after which they were brought home. Karan’s best friend Gauri Khan designed a beautiful nursery for the little ones. The filmmaker also shared a few glimpses from the nursery through his social media account. Karan’s announcement to embrace parenthood through surrogacy was appreciated by many in the industry. Since then close friend and almost all of Karan’s colleagues and associates have been visiting the little ones. Karan is surely in a very happy space taking care of his babies.